Going further west, from the vast AZ desert, we found ourselves in a town, a real modern town with live people: Sierra Vista. Seemingly at first, there didn't seem to be much here but a Walmart, chain fast food, a dead mall, and some strip malls. None the less, it was nice to be out of the desert, and nice to be near a meal. You know me, I can eat anytime, and it was time for me to eat. I finally got cell phone service in Sierra Vista, so I dialed up Yelp.com and Urbanspoon.com to find out where there was to eat. Sierra Vista is not high on the list of yelp, so there were only 9 restaurants listed and amongst those listed were a Pizza Hut and a Subway. I did not travel across the desert to eat at a fast food chain. Then Arirang restaurant popped up on my app. Yes, a Korean restaurant in the middle of the desert. I called and they were open, and off we went. We walked into the small strip mall space, and it is rather utilitarian inside. A few tables and plain chairs, and the wait staff are white, but the woman cooking is Korean with Korean language as her first language. Actually, the waitress said that there was some issue communicating with the chef and owner because she did not speak a lot of English, and the chef cooked way too much food that wasn't ordered. I thought that was a good sign for dinner, a Korean meal being made by a woman of Korean decent. We ordered a ton of food such as seafood pancake, kim chi pancake, steamed dumplings, jigae tofu soup, bipimbab, kalbi, and more. 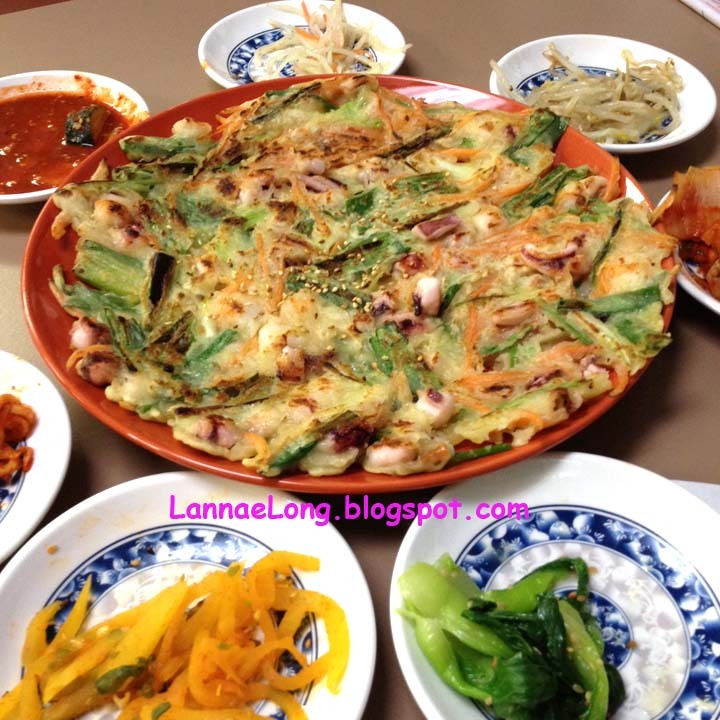 When the appetizers came out, the banchan, the seafood and kim chi pancakes and the dumplings, we dove right in. My travel pal, who has spent time living in South Korea, exclaimed that the banchan and appetizers were the best he has tasted outside of Korea. Yes, in the middle of no where AZ dessert is the best Korean food outside of South Korea. 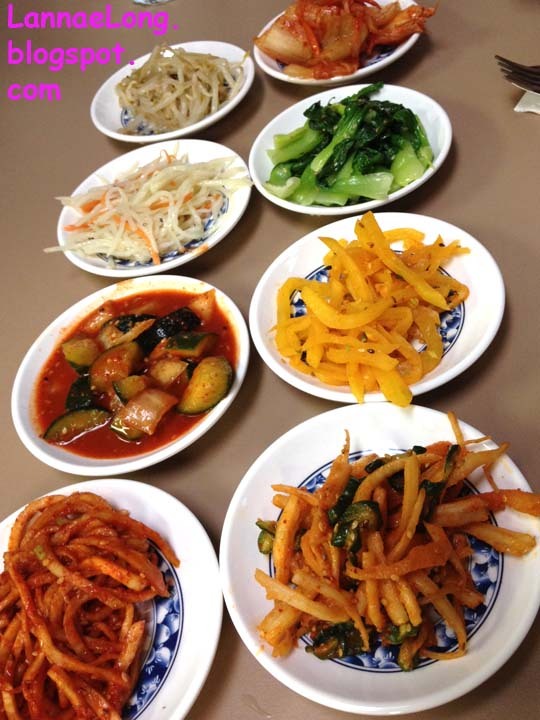 I too liked the banchan kim chi, there was one that was some sort of ginseng kim chi which was my favorite. There were baby bok choy, napa cabbage, zucchini, potato and other kim chis that were quite tasty too. We really loved the seafood and kim chi pancakes. The pancakes were fairly thin and crispy, just the way I like them. The restaurant gave us this really delicious red vinegar soy and chili pepper sauce to dip our pancakes in. I am not sure what was in the dipping sauce, so I asked. The waitress was trying to ask the chef, but there was mis-communication and I could never find out. 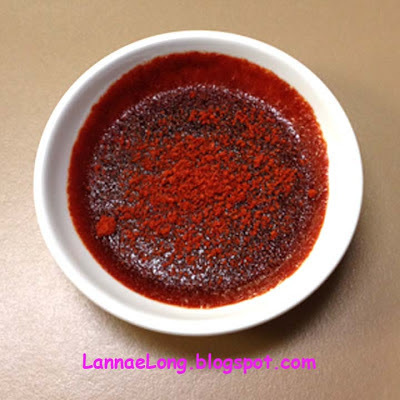 So, I am thinking it is a little soy sauce, red vinegar and Korean red chili flakes and possibly something else. This is a dipping sauce like I have never had before. We also ordered entrees, but we were so stuffed by the starters, we didn't really eat much of the meal, so we took them back to the motel to eat later. I learned after talking to the waitress that it turns out that there is a small but vibrant population of people of Korean decent living in Sierra Vista. There are a couple other Korean restaurants as well, but they are not showing up on Yelp. The reason why Arirang was opened is because the owner was not pleased with the other Korean restaurants in town, he and his wife claim that the others are dirty, or do not have good quality food. It was the husbands idea to open his own restaurant, and prove to Sierra Vista that Korean restaurants can be clean, good quality, and a fair price. It is true, the restaurant is clean, the food is good, and the food is a good price. This is what I saw in AZ as we drove west. There is a lot of nothing but desert. No cars, no trees, and no residents. There a lot of sand and scrub, and that is about it. The landscape and lack human inhabitation was freaking me out a bit. I am a "city girl" having lived most of life in highly dense areas of Boston, Phila and Nashville, and these wide open spaces like the AZ dessert freak me out. There was no cell phone service in the AZ desert, and there is no incentive for phone companies to put towers in the vast desert because there are no people to use cell phones there and there is no profit. What happens if the car would break down or something would happen to me, who would hear me or find me? The high desert is what isolation nightmares are made of. I am home now in my densely populated area of Nashville where I know many of my kind neighbors and in my home is the Man and the Cat. It is comforting for me to be home. As I moved across the southwest, I entered Arizona. I have not been in Arizona for 35 years, and I wasn't necessarily planning on going into AZ ever again. But it is tough to move across the southwest without going through AZ. 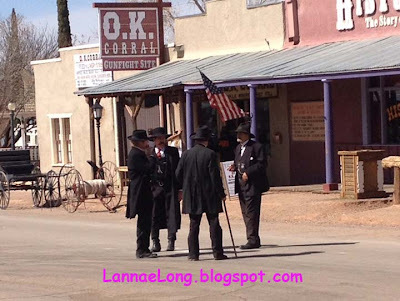 AZ is where I found myself, so I ended up taking a look at Tombstone, AZ the home of the O.K. Corral. I don't know much about AZ, Tombstone, O.K. 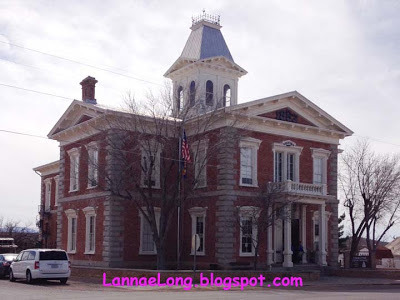 Corral, Wyatt Earp, Doc Holliday, nor the Chinese and Jews who inhabited the Tombstone area. 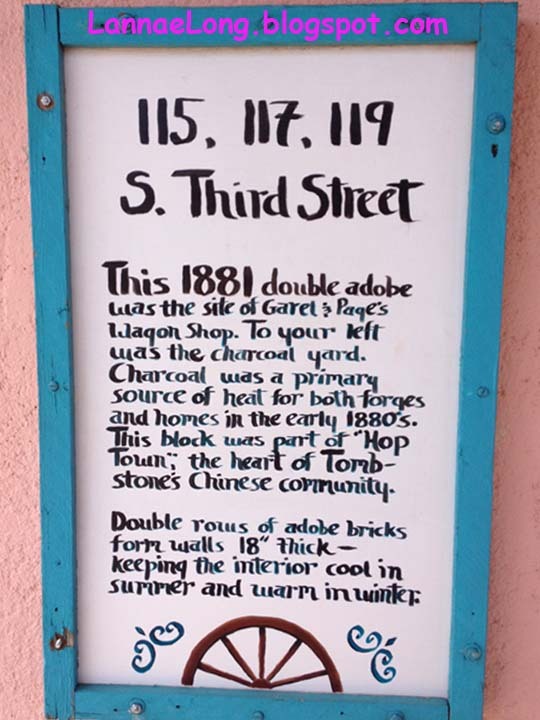 I actually did not know the Chinese role in Tombstone until I got to the tourist town. The current era Tombstone is just a few blocks long with re-enactors, and touristy shops. Tombstone is no different form cruise ship ports with lots of tshirt shops and fudge shops, except that Tombstone is surrounded by dessert, not water. 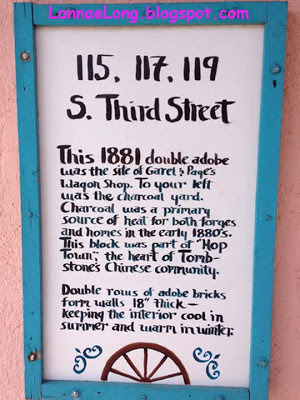 We walked the town up and down and I saw this sign that there was a community of Chinese in Tombstone during the wild west days. They lived in the 3 block area, and were probably there to work on the rail road going through AZ in the 1880s. After that work was over, they had no where to go, so they stayed in Tombstone. It is estimated that the Chinese were about 10% of Tombstone population, mostly men and some women, during the Wyatt Earp days. After the railroad work dried up, the Chinese worked at what ever jobs they could, laundry, cleaning, and mining. The big issue standing in the way of Chinese was the law, the Chinese Exclusion Act banning Chinese from becoming citizens. Because of this Act, Chinese people Tombstone were not counted in AZ state census, were not afforded the same rights as whites, and were not treated the same as whites. By the way, Chinese is the only nationality ever in the history of the USA to be excluded by law from immigration to, living free in and becoming citizens of the USA. The Chinese of the time of Tombstone believed that the body and soul remain together. In the time of death, the body and soul should be taken back to the place of birth to be buried and that would allow the soul to rest. 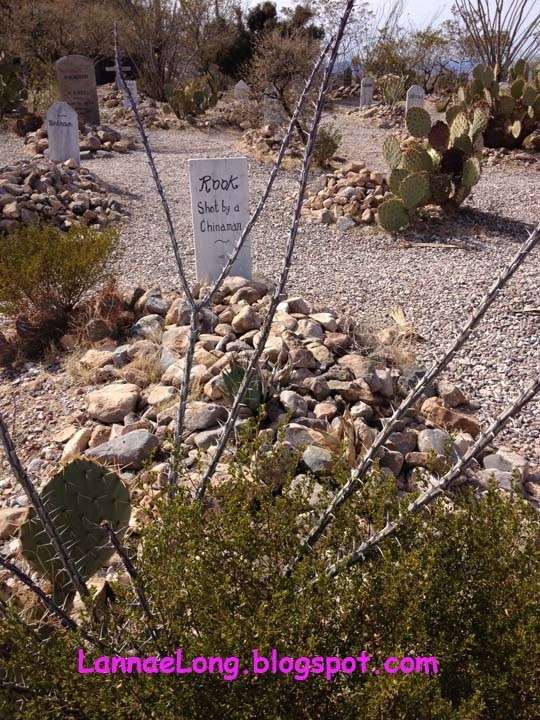 For some reason, the Chinese of Tombstone did not return the remains to China of many of the Chinese residents who died, rather they buried their remains in a Chinese section of Boot Hill Graveyard. It is speculation that the "transporter" was a bad man, and was not really transporting the remains back to China, and he was just dumping the remains anywhere out of sight and stealing the money which was paid to him to respectfully transport the remains to China. 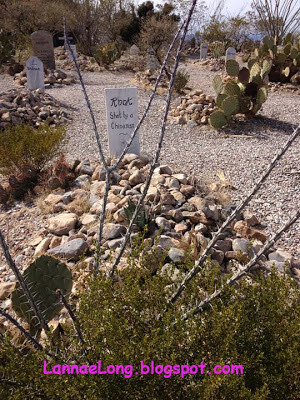 The Tombstone Chinese probably thought it was better to bury their friends and loved ones at Boot Hill knowing they respectfully treated their bodies and souls, rather than risk having the remains dumped un-ceremoniously. 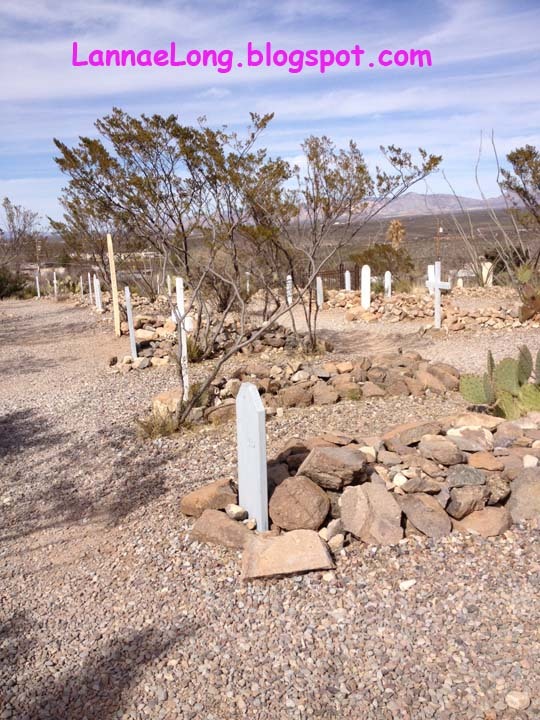 The Boot Hill Graveyard is open for free to see, or for donation. The donations help for the up keep of the graveyard. 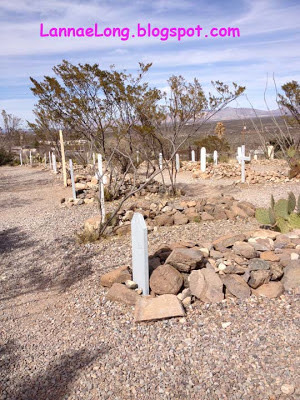 Most of the graveyard has been restored, so what you see isn't necessarily how it looked in the 1800s, rather in the early 1900s, the graveyard fell into disrepair and was nearly forgotten, and then some people of the Tombstone area decided to restore Boot Hill and remember those who died. As best they could, in burial location, name and cause of death, they have restored the graveyard. I don't foresee going back to Tombstone any time soon, but I am glad I went. This is a part of USA history I don't know much about, and seeing it for myself helped me learn something new. I have been traveling around the southwest of the USA this winter from CA to TX to see what I can see, and to see family and friends for various reasons. I was close to Mexico and the Gulf of Mexico throughout the winter which means I get to have really great Gulf seafood. Landing in Texas in time for lunch, I grabbed my car and and drove to Goode's Seafood to get some Gulf oysters straight from the Gulf. Living in TN, landlocked by 7 states, it is not easy to get good seafood prepared well. When I travel I always try to take advantage of what is local. And Goode's is as good as it gets. This day, I drove and picked up long-time pal for lunch. Houston is really spread out, so going 7 miles from her house is "close by". Goode's started out as a small family owned TX bbq biz and has been around Houston for 35 years. In those years, Goode's expanded to a handful of locations specializing in TX bbq and Gulf seafood. We went off to the Original Goode Seafood which is in a boxcar diner with the original chrome swirly barstools. Goode's Seafood is Zagat rated at 26/30 with the grilled seafood, gumbo, shrimp cocktail and oysters. 26 is a really good rating I think. We ordered gumbo, an arrangement of oysters from 3 regions of the gulf, and oyster po' boys. The standouts for me were the oysters and the po' boys. I forgot where the 2 TX oysters came from, and the other one is Apalachicola. 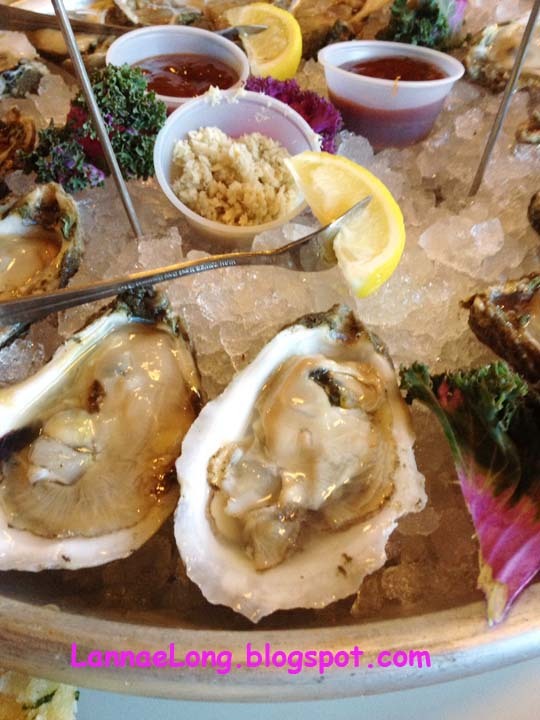 The Apalachicola oysters were the biggest and meatiest oysters with nice sea flavor, and I enjoy them greatly. The other two, one was more minerally, and other was the most mild and sweet. I wish I knew what the mild and sweet one was because it was my favorite. 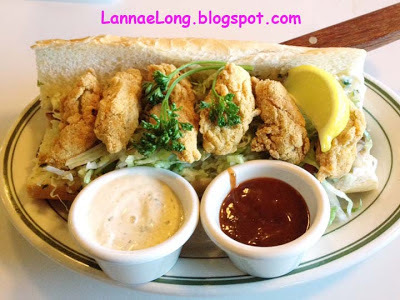 And the oyster po' boy was outstanding. The bread was right, the same bread as you would get in New Orleans. The bread was light on the inside with a nice crispy thin crust on the outside to give the crunch your teeth wants. The oysters were fresh oysters dipped in a cornmeal crust as I ordered them. These oysters in the po' boy were obviously made really fresh to order, they were NOT frozen, nor made by a food distributor. I really enjoyed the sandwich which is impossible to find the right combination here in Nashville. It was a nice lunch to catch up with my friend. As I left her to go on to see family, I said I wasn't going to miss my pal too long. She planned on coming to Nashville the very next week! So when she was in Nashville, we went to Midtown Cafe for dinner one night. Quick and easy meal planning? Yes, I am all about that. So, this meal was super easy. It is Friday, I kicked off work and drove up to the Nashville Farmer's Market and went to see the boys at Wild and Local. I got a couple pounds of mussels that just arrived to their shop about 2 hours prior. 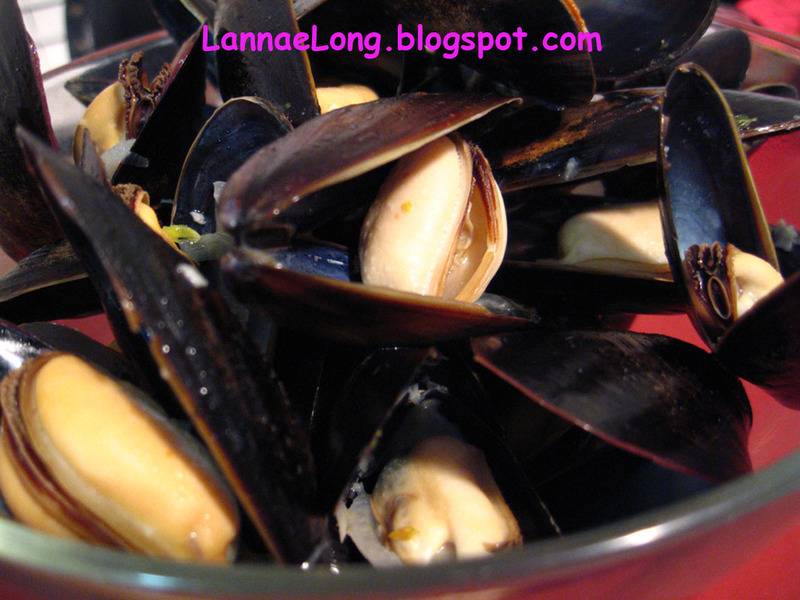 I took these beautiful mussels home steamed them for dinner. As always, with my local components in everything I make, I steamed the mussels in Beachaven white wine, diced onion and minced garlic from Barefoot Farmer, cayenne pepper from my organic garden, butter I churned from JD Milk cream, and Matanzas Creek herb de Provence and lavender pepper. It only took a few minutes to steam the mussels. Excellent.